Learn how your restaurant customers feel about your menu, service, and your restaurant with a simple, effective customer survey. Because great food, great service and great feedback matters more than ever in the highly competitive food service sector, restaurant online surveys sit at the heart of every contemporary eatery, whether it’s a popular chain or a unique independent. LinkedIn says it costs 4 to 10 times more to get a new customer on board than to keep a current one. The 80/20 rule says 20% of your customers generate 80% of your income. That means you need to understand exactly what your customers think about every aspect of your restaurant. Customer surveys come with huge benefits to the restaurant industry, a sector that includes fast food outlets and franchises, motorway cafes, kebab shops, fine dining and big chains. You can use surveys to find out exactly what your customers feel about their meal, the service, the ambience, the wine list, the background music, the décor, the entire experience. You do it at the point they leave the premises, when it’s fresh in their minds. If patterns appear, and enough people feel the same way, you can take action to delight future customers and please your regulars. Insight from a restaurant customer survey can inspire lucrative new seating plans, layouts, furniture, lighting and menus. It can put a stop to mistakes and reveal innovations, help you find out who your best employees are and inform staff training. It can drive new interior décor directions. Roll it all together and you get what you need to improve and hone every aspect of your restaurant business to perfection. This page shows you the potential of a customer survey for restaurant use, and how to use surveys to get the insight you need to reach those essential business goals. First, what kind of questions should you ask in a restaurant survey to find out more about customer satisfaction in restaurants? A blend of open and closed questions gives you some fascinating insights, but some basic questions are essential, designed to give you a really good start. What did you like best about us? It seems like a simple question but it tells you such a lot. Giving people the change to express themselves freely provides a clear understanding of the things you do that they like best, so you can do them better and do more of them. Asking how often someone dines at your place reveals what kind of customer they are: first-timer, occasional, or frequent. They have different needs and expectations, which you can fulfil once you know which category they belong to. Asking what people didn’t like can seem scary, but wise restaurant owners and managers know negative feedback delivers some of the best insights of all. The moment a pattern appears you know, instantly, what needs changing, and can act fast. Then you can let people know what you’ve done via your website, blog or an email campaign, closing the marketing circle. How fast were we? Speed isn’t always meaningful. If you run an exclusive restaurant with food cooked from scratch, your customers won’t necessarily expect super-fast service. But if you offer fast food, it has to be fast enough! Nobody wants to wait an unreasonably long time. Service speed actually makes a big difference to customer return and retention rates. Asking whether you provided enough healthy choices doesn’t just reveal a basic yes or no answer. If you get a lot more no answers than yes, it indicates your target audience is mainly healthy eaters. Can you add more healthy choices to your menu and please the majority? Was our drinks list broad enough? It matters when there’s such a huge choice of alcoholic drinks and trends change so fast. Artisan ciders, gins and beers are growing in popularity and if you don’t offer a good choice you might be losing custom. But you’ll only know if you ask. Asking how well your employees performed is a good way to pin down gaps in training and development and help them do better. If you run a family-friendly place, asking how family friendly you really are will help you find ways to change for the better and please more families. The king of restaurant survey questions must be this one: Would you recommend us to others? It provides a clear understanding of your overall appeal and popularity, letting you know the essential negatives as well as the feel-good positives. Use a high quality customer survey tool and you can ask for extra feedback to give you more texture, more detail than a simple yes or no. When you think about it, the best survey questions for fast food restaurants are different from those a cordon bleu restaurant would ask, or those that would best suit a cafe survey. That’s the beauty of contemporary digital survey tools – they’re so flexible. When you ask people to answer surveys about their experience at your restaurant, you tap into a powerful marketing system that tells you all sorts of important, interesting and exciting things about how to make more money. When you improve its quality and appeal, you make more profit. Do you want to improve your restaurant business? Survey your customers to find out how. Understand the challenges when surveying restaurant customers? People are there to eat, drink and enjoy, not take part in surveys. So your survey system must be extremely fast and easy or you’ll annoy your customers. Because you want people to be honest, it must be discreet. They won’t be straight with you if you’re leaning over their shoulder. The timing is also important. Leave it until the last moment, make it a seamless part of the departure process and you’ll fare a lot better than trying to interrupt people while they’re paying, at the bar, finding their bags, calling a cab or putting on their coats. Make your question short and sweet, basing it on the specific information you want from people: the food, location, parking, service, menu, drinks list, seating, waiting time, restrooms, bar etc. Use a Survey Tablet to easily gather customer feedback! The restaurant survey tablet thermometer is perfect for the foodservice sector, an attractive two-tap feedback tool that also lets people leave comments. It works with iOS and Android, and you can brand it too. Start by creating a free Customer Thermometer trial account, entering your email address and choosing a password. You can set up ten free surveys instantly and get the results back in 10 minutes. Because you can actually take action on the feedback, it’s a great way to test the system’s influence and reach in real life. Now you need a tablet. Put it somewhere customers pass naturally on their way out, perhaps by the reception desk, till or cloakroom, and make it clear what it’s there for, with a notice or signage – a mini-marketing task in itself! 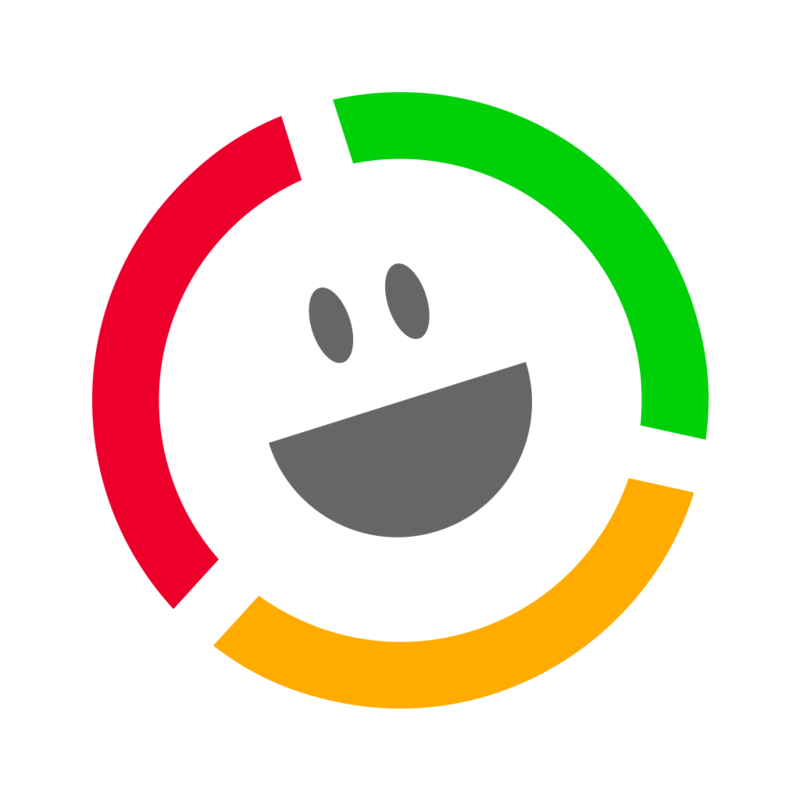 People who want to leave feedback click on an icon as they pass by, takings literally a second or two to answer your question, and you get an instant snapshot rating to analyse and act upon. Here’s another idea. How about the Customer Thermometer free iOS survey app, perfect for iPads? You can capture responses online and offline, ideal when you have a poor Wifi connection. The responses you get from your customers are synced with your free account once you get a better signal, so you don’t miss a thing. And, of course, it’s totally portable. You can even use it via a touchscreen on PC or Mac via a basic kiosk app. Now you can get answers to essential restaurant survey questions and take your business to the next level.